Hey hey yall. Here is the anticipated video for Trey Songz' "Bottoms Up" with Miss Nicki Minaj! 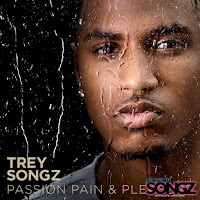 It's the new single off Trey's upcoming album Passion, Pain and Pleasure that is set for release on September 14. If you pre-order the album now on iTunes, not only will you get the mp3 for "Bottoms Up" but you will also get three bonus tracks when the CD is officially ready for download on the release day! Check the video below! Definitely a unique one for Trey. A lot of strobes, a lot of stumbling for Trey LOL It was about going out and drinking, so it was a little crazy. It wasn't like a clear story like other videos he's done, but it wasn't really supposed to be. It's just about a night out, getting drunk, having fun. So it was cool. Not my favorite video by him, but it's definitely a party record! Love this song. And of course, Nicki did Nicki, putting her flavor on it. Swear I like the girl more and more each day. What did you guys think of the video?